There are people who would not buy a house that’s not new construction, and there are those who step inside an old house and fall in love with its charm in an instant. If you’re up for the challenge of breathing new life into a historic home, here are five things you need to know first. Restoring and maintaining its integrity can be costly. Any real estate agent specializing in historic homes can agree that restoring one is no easy feat. But so long as vintage homes remain attractive to homebuyers, the niche market will continue to exist. If you’re up for the challenge, enter this undertaking with the mindset that you will incur expenses. Old homes come with big surprises: asbestos, rusty pipe works, outdated HVAC systems, rotting window frames, cupping hardwood panels, and the list goes on, making them pricier to fix and renovate. It comes with many restrictions. 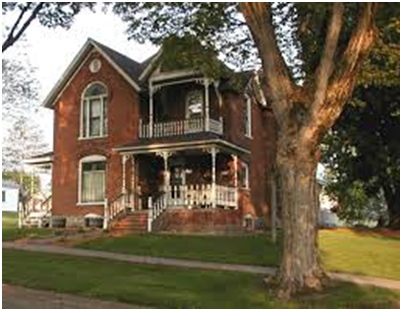 Buying and rehabilitating a historic home or home in a historic district has its trade-offs. You get to live in a coveted address and marvel at bygone fancies and personal relics of every generation that lived there. But buying one entails taking full responsibility of keeping it intact for the enjoyment of future generations. Chances are there is already a preservation easement in place, where you only need to pay a certain amount and a qualified organization or government agency will take care of the renovations. Getting insurance and financing is tricky. While historic homes appear charming to homebuyers, it’s not the same for insurance companies and mortgage lenders. Because they are costlier to restore and maintain, banks may require more information before finding a suitable financing option for your purchase. This is because homes from bygone eras are built with highly intricate moldings and unique materials that may not be available today. And not many contractors have the tools and expertise to bring these furnishings back to their original condition. This makes collecting an accurate insurance claim tricky, but there are ways to go about this process, which this guide from the National Trust for Historic Preservation outlines. As with all home purchases, buying a historic property comes with emotional and financial challenges. The general rule is to not let your emotions, or the sheer euphoria of having to live in a historic home, dictate your decision to purchase. Make wise decisions and take the project head on. Before closing the deal, you may want to be as realistic and level-headed as possible, and know in your heart that you can commit to be the owner of this precious house. It’s worth it, if you make it work. If you’re willing to put in the additional time and money, a historic home can be a great investment. Not only will you benefit from its charm and aesthetic appeal, you may also qualify for myriad tax benefits and get the bragging rights for saving a piece of the past. Not all historic properties are difficult to restore. The trick is to research, weigh the pros and cons, look around, and hire a real estate agent who knows historic homes inside and out. Windseeker Realty LLC has played a part in preserving the town’s historic charm by connecting homes to those who wish to take part in their preservation. If you’re interested, give us a call and discover Bayfield’s vintage gems with our help.